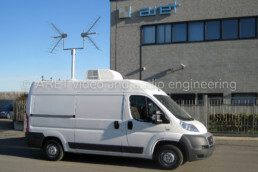 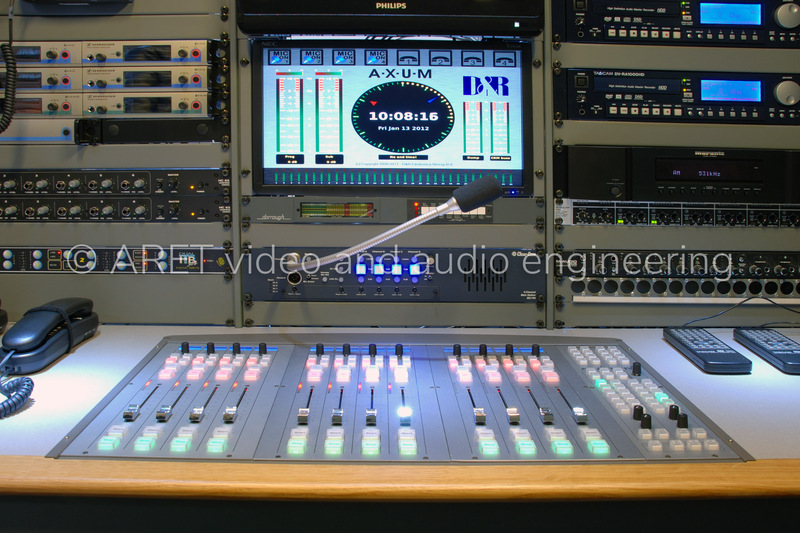 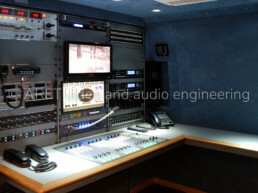 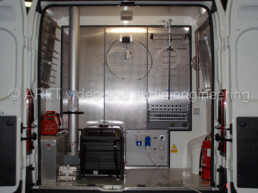 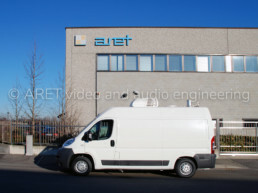 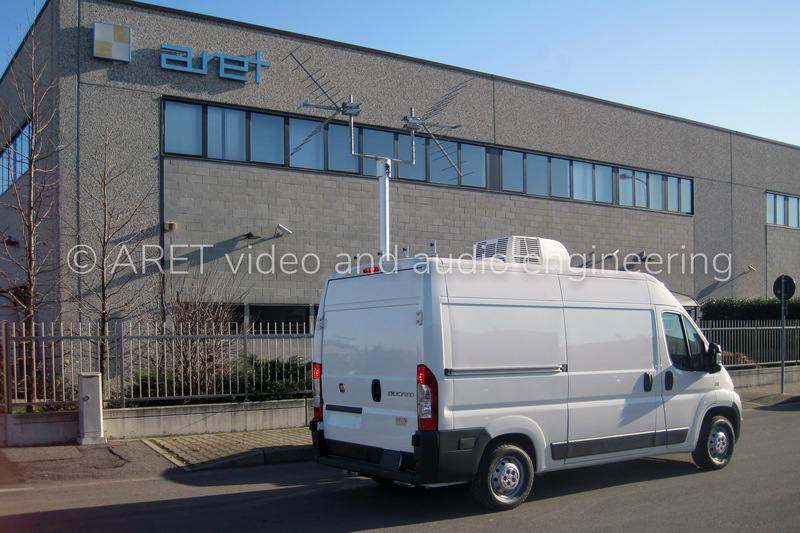 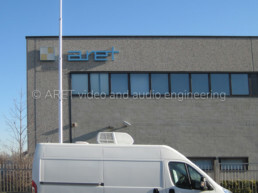 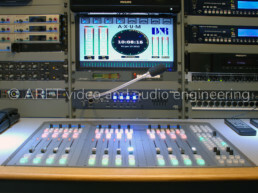 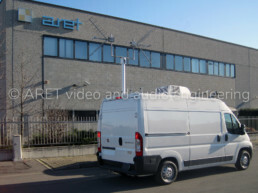 Here we introduce another Radio OB Van for a middle-east country. 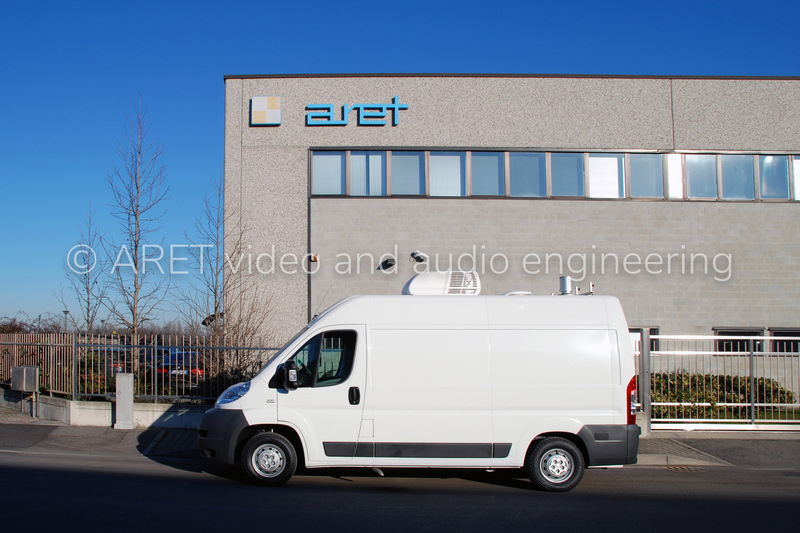 Based on Fiat Ducato chassis, this unit is very compact, powerful and designed for easy operation in audio recording and live broadcasting. ARET’s designers took care to give a high-class look to the working environment: internal walls are covered with high-quality tapestry and the console is realized with wood finishing, as per client request. 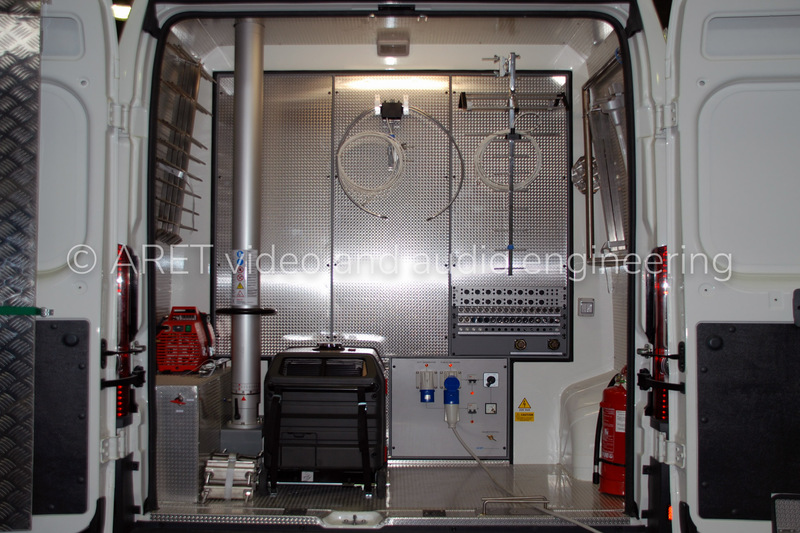 Space has been maximized both in the operative area and in the rear storage area, allowing space for equipment and system layout. 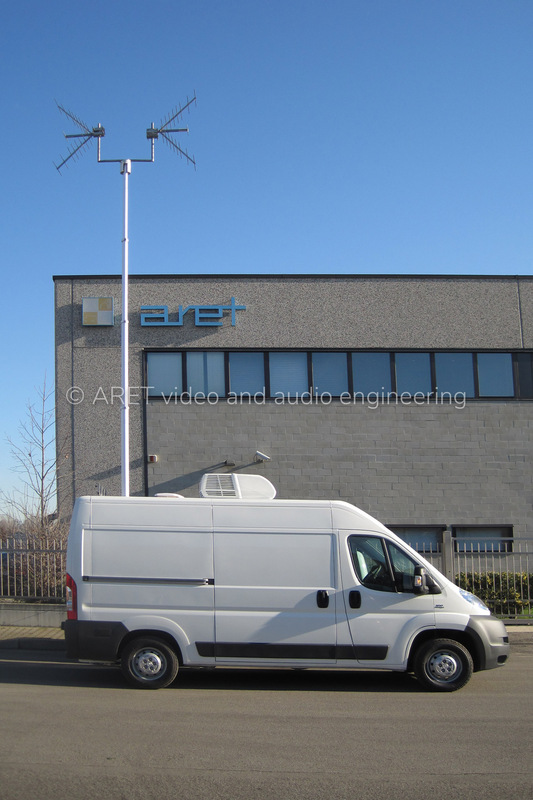 In the storage area are located a telescopic mast for antennas and a removable power generator.